The Hawaii Ginyukai was founded in 2017 by members fond of and interested in Ginyu (Japanese poetry songs). 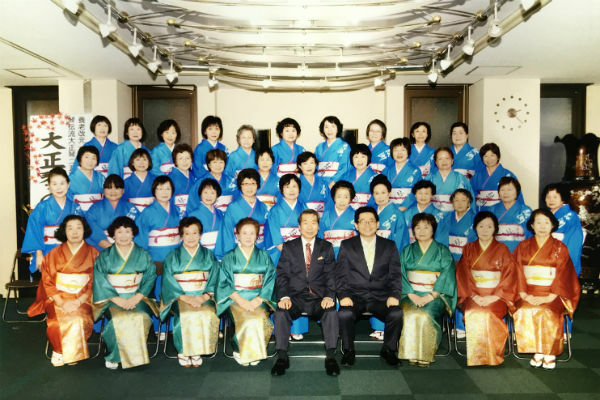 Hawaii Ginyukai is belong to the “Kansai Shigin Culture Association” which its headquarter located in Osaka, and is certified by the Prime Minster of Japan. We practice the art of Shigin at 15 Craigside’s multimedia room and are taught by the Guidance Department in Japan using Skype in a fun and at home atmosphere. Kenny Endo and Taiko Center of the Pacific, a school and performing group of traditional and contemporary Japanese drumming. Well known throughout the islands, the group also performs internationally and offers year-round classes to the general public. 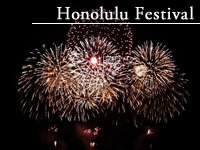 Today, the group performs Matsuri Bayashi, the festival music of old Tokyo. It is performed in Tokyo to support the many mikoshi bearers carrying the heavy portable shrine. The mikoshi comes out of storage only a few times a year to give blessings to all the people. 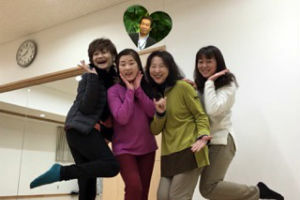 Mihoko Maier is founder of Jazz Peace Concert. 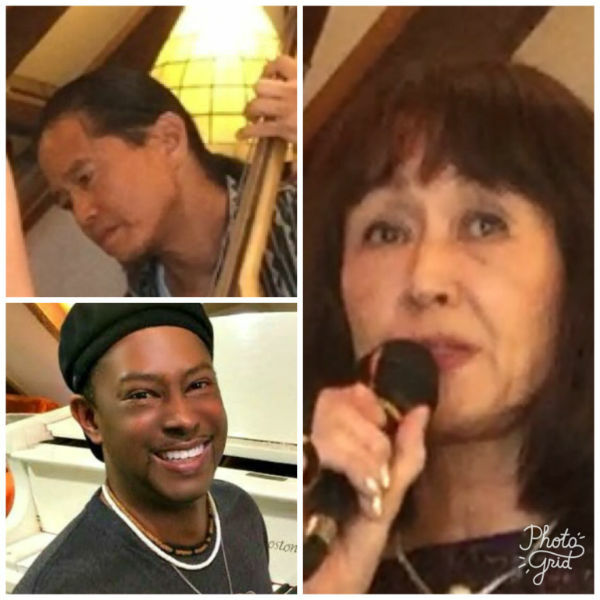 Praying for World peace through Jazz for over 10 years, Mihoko is accompanied by Emmy award winner composer, Camara Kambon, who moved to Hawaii recently and with bassist, Tommy Hamasu, also a composer visitng from LA. 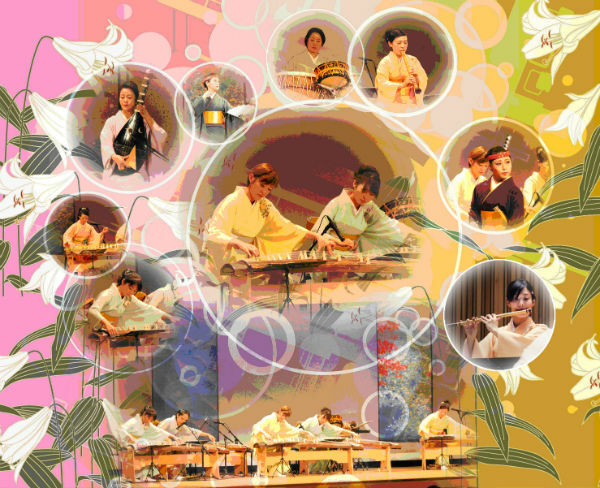 Genshukai gives performances of taishogoto (Japanese harp) both domestically and abroad. 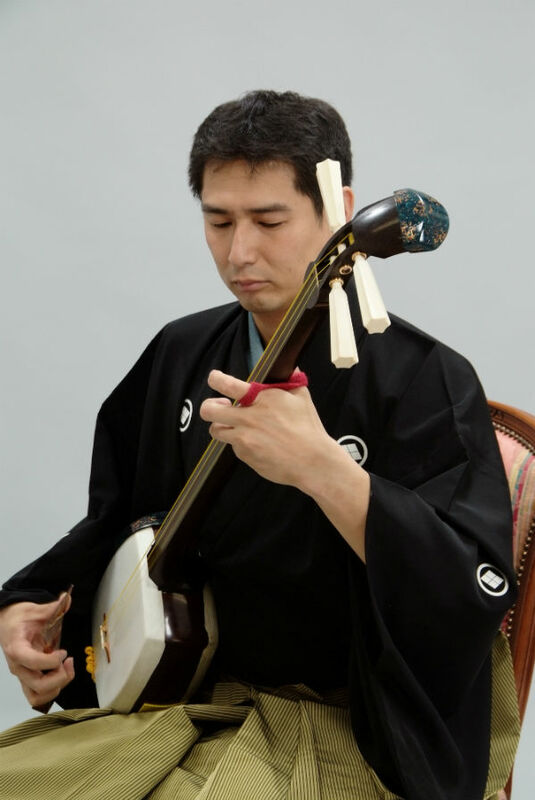 Taishogoto is a traditional Japanese instrument with over 100 years of history, and it is popular worldwide with an estimated million people playing the instrument. We are proud to present you with the instrument that has such a rich culture behind. We met in the city of Izumo, known as the birthplace of Japanese mythology, and formed a performance group led by a singer-songwriter Momo Monden. We perform our original musical songs and dance inspired by the deities of Japanese mythology such as Yamata no Orochi and Inadahime.